Demir Muftari will become the club's technical director while Will Thornton will serve as assistant coach, the team announced Monday. The Michigan Bucks of the Premier Development League have promoted assistant coach Paul Thomas to head coach while Demir Muftari will become the club's technical director, the team announced Monday. Thomas, who is on the USSF national coaching education staff and Michigan Wolves/Hawks academy coach/technical advisor, has been Bucks assistant coach for four seasons. "I have been involved in high levels of soccer the past decade, but nothing has been as challenging and rewarding as being a part of the most successful team in American soccer history at this level," said Thomas, who holds a USSF "A" coaching license. "I love working with the young players who are all aspiring to chase their dream to become professional soccer players here or abroad and I will continue to work tirelessly to ensure that this year’s team continues to produce champions. In a related move, the Auburn Hills-based club announced Will Thornton will become Thomas' assistant. Thornton, who is a Michigan Wolves/Hawks academy coach, previously served as an assistant with PDL outfit Reading (Pa.) United. 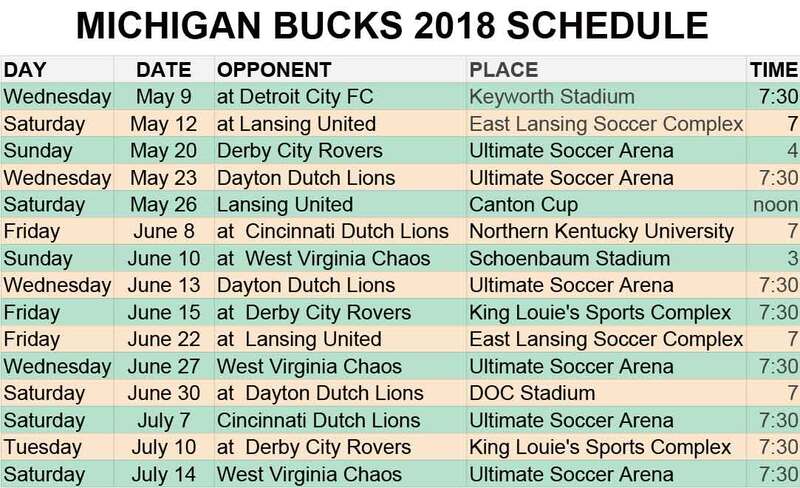 The Bucks open the season Wednesday, May 9, in the U.S. Open Cup against Detroit City FC at Keyworth Stadium. The team starts its league campaign on the road against PDL débutantes Lansing United on Saturday, May 12. The Bucks' first home game of the season is Sunday, May 20, against the Derby City Rovers at Royal Oak High School. Kick off is 4 p.m.
For tickets and information about the upcoming Bucks season, visit www.buckssoccer.com.